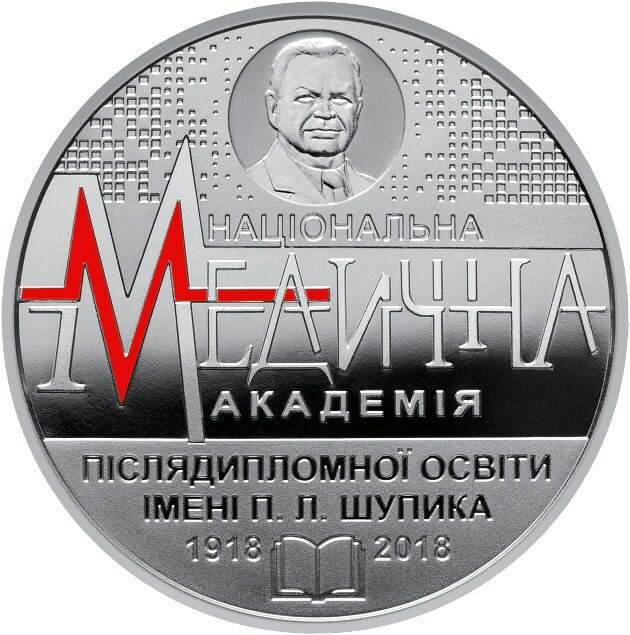 Within the series dedicated to the "Higher Education Teaching Centers of Ukraine", a coin with a facial of 2 grivnas was issued on October 1 coined on an alpaca alloy, also known as German silver, dedicated to the "Centennial of the National Medical Academy of Postgraduate Teaching PLShupik ». 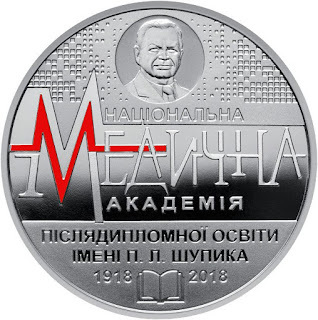 The reverse side of the coin shows the portrait of the person who gives the name to the educational center, below it the text "National Medical Academy of Postgraduate Education PLShupik", where part of the letter M appears in red. In the lower part the dates 1918 - 2018 between which a book is shown, complete the composition. 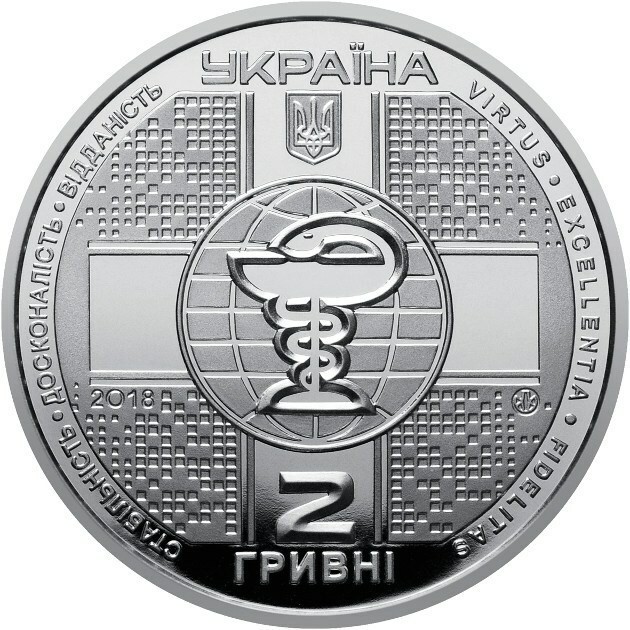 On the obverse of the coin, at the top is the state emblem of Ukraine, above which is the inscription UKRAINE; in the center in the context of a stylized cross and globe the symbol of medicine is shown, an entwined serpent. 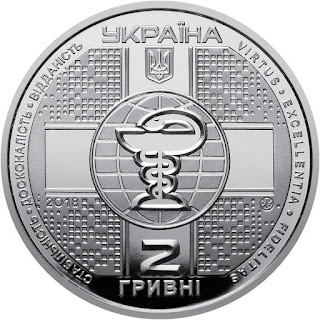 The year of issue "2018" is shown on the left, the mint mark of the Mint of the National Bank of Ukraine on the right, on the bottom the face value 2 grivnas. At the edge of the coin you can read the slogans: in the left semicircle, "STABILITY. PERFECTION · COMMITMENT ", in the right semicircle," VIRTUS · · EXCELLENTIA. FIDELITAS ".